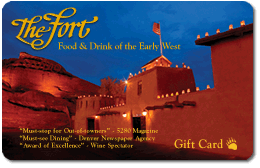 The unique desserts at The Fort show that desserts based on 1830s Colorado ingredients can be as good as any in the world! The Fort’s famous signature dessert. A blend of dark chocolate whipped with Myer’s rum served in a Pewter cup and topped with a cookie. 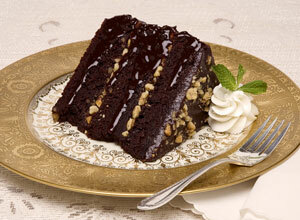 The ideal choice for the chocolate connoisseur. 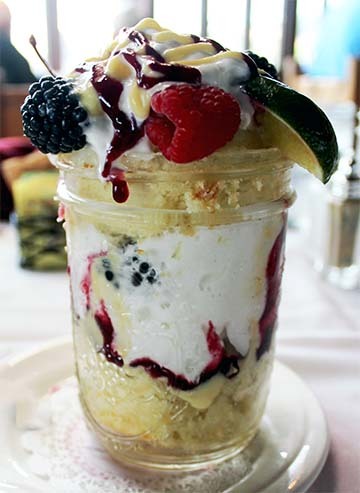 The Fort’s Kitchen Manager Ethan, created this Fresh Lime Cake with a creme anglaise, huckleberry sauce and fresh fruit layered and served in a mason jar! Light and delicious! Chef’s daily variation on a delicate custard covered in a burnt sugar crust. Choose from Vanilla Bean, Coffee with Niblets or Mexican chocolate. 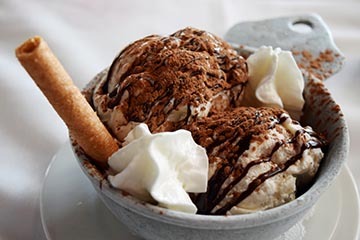 Choice of Mexican chocolate or vanilla bean ice cream, topped with our homemade hot fudge sauce and a dusting of chocolate adobe chile powder. Vanilla bean ice cream topped with our homemade butterscotch and pinon nuts. 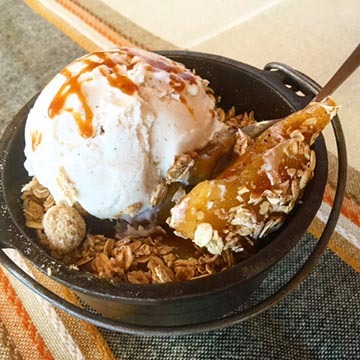 Seasonal fruit served warm, topped with an oatmeal streusel and a scoop of vanilla bean ice cream. Drizzled with our homemade carmel sauce. A slice of the Fort’s Special Mud Ice Cream Pie, back by popular demand, includes Mexican chocolate ice cream and an Oreo cookie crust, layered with Enstrom’s toffee!